It's time to rethink your camp kitchen. 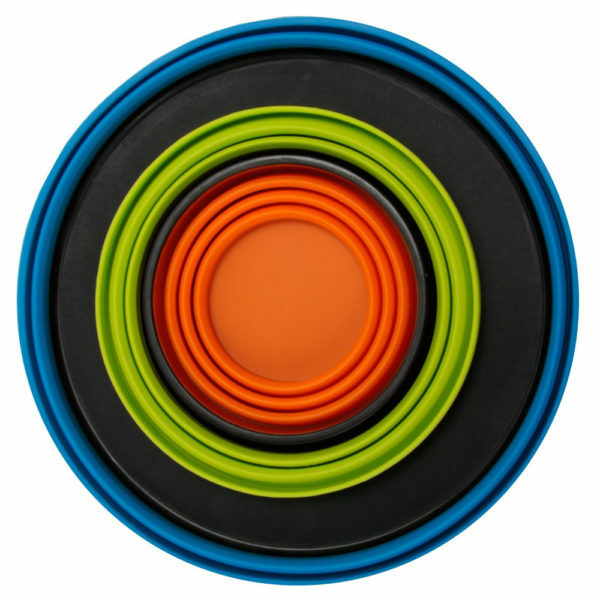 This collapsible kitchenware is the perfect answer to your tiny kitchen and for food on-the-go. Whether it's a tiny house, travel trailer, or small RV...you need this space-saving camping cookware. 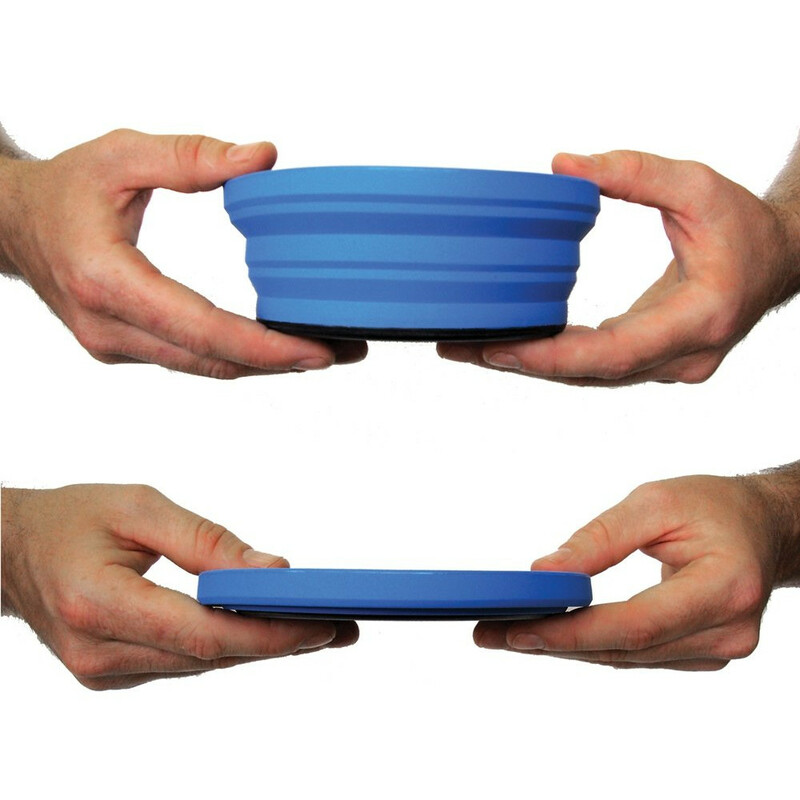 And easily pop the dinnerware into your backpack for that picnic in the park or the music festival! It's simply the best collapsible camp kitchenware available! 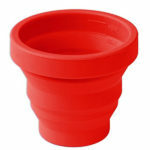 BPA-free and made of food-grade flexible silicone. 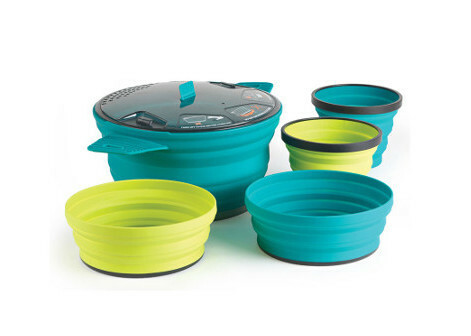 Sea to Summit X Collapsible Bowl and Mug Set includes one X-Bowl and X-Mug and comes in a lightweight Ultra-Sil storage pouch. It's the perfect starter set for your tiny space kitchen and portable camp kitchen box. Think of this set as the essential foundation to your collapsible cookware and dinnerware needs. The Sea to Summit X-Set 31 includes the X-Pot 2.8L, two X-Bowls and two X- Mugs...all the basic camping cooking equipment needed to get your camp kitchen started. 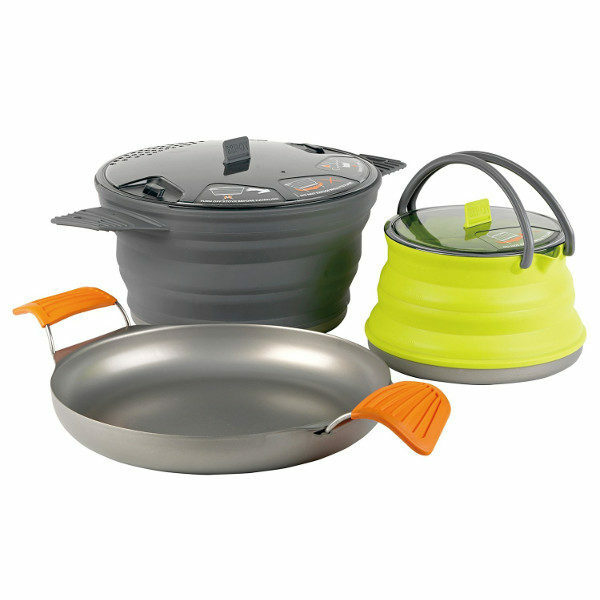 Sea to Summit X Set 32 Collapsible Camp Cookware employs hard-anodized aluminum bases that allow camp stove cooking. 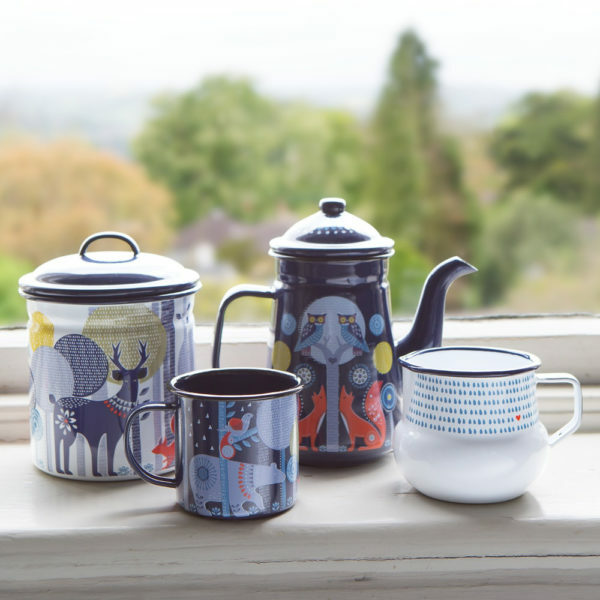 This set includes the X-Pot (2.8L), X Kettle (1.3L), and X Pan (9 in. (dia) X 1 in.). The beauty of this cookware is that it collapses and nests with its dinnerware, creating the most compact cooking and eating sets you’ll find. For on-the-go trekking, hiking, and camping, this is the best camping cookware for your portable camp kitchen. Use the X-Pot for all your camp cooking. 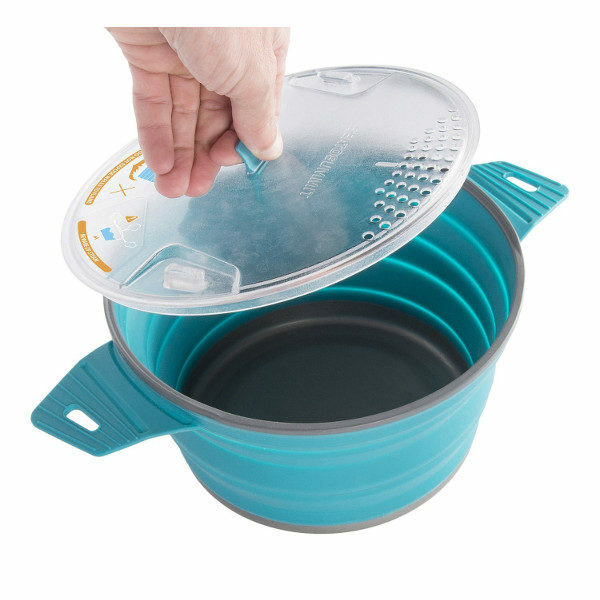 And the lid has a built-in strainer, so pasta is a breeze at camp or on your trek. You need those carbs to get you through a long day on the trail or at the horseshoe pit! 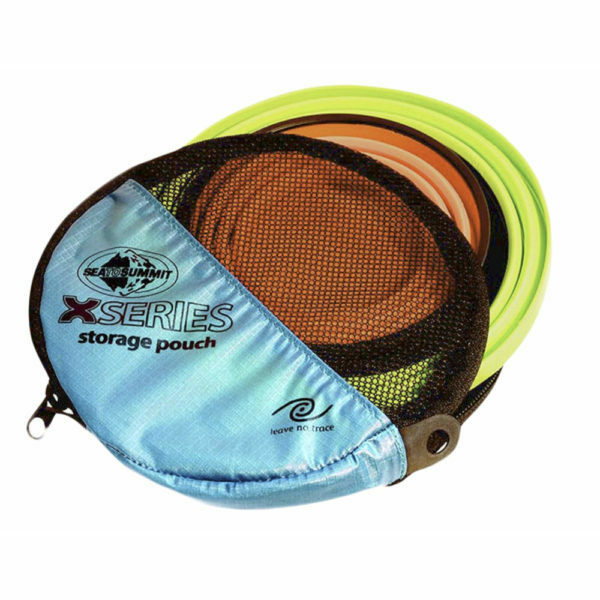 The Sea to Summit Collapsible X-Plate is made from flexible silicone and features a Nylon base that doubles as a cutting board when flipped upside down. 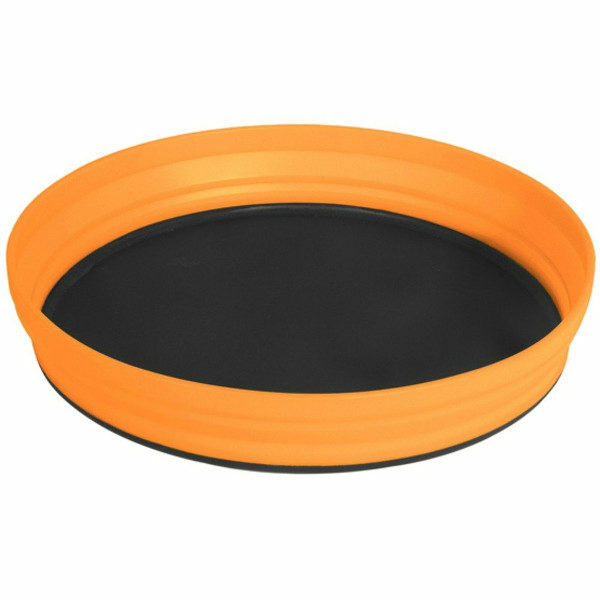 The camp plate collapses to a small disc size that is designed to nest with other X-Series products. 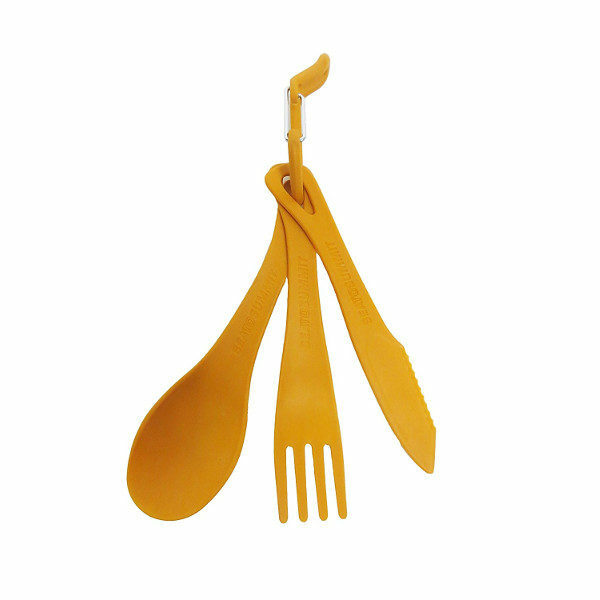 The Sea To Summit Delta Cutlery Set is a short knife, fork and spoon set. The supplied carabiner can be used to hang or clip the 3 piece set together. The knife is half plain blade for easy spreading and half serrated to aid cutting. 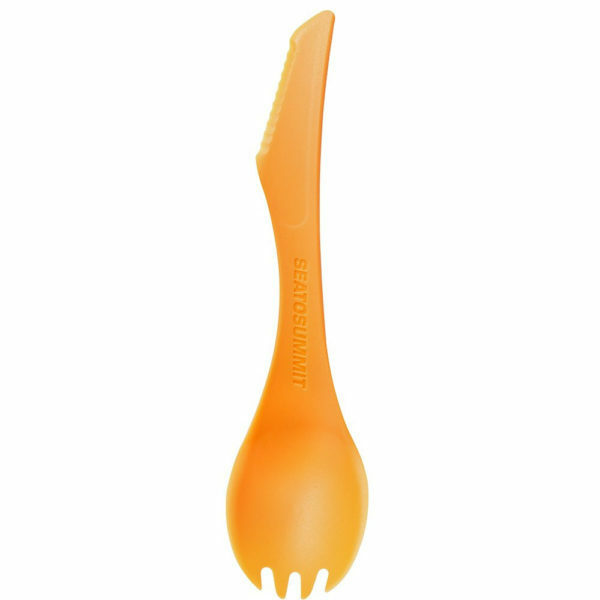 The space-saving Sea to Summit Delta Spork with Knife utensil is lightweight, practical and durable. The integrated spreader knife has a super strong cutting edge. Who doesn't love a spork? Always be prepared with the Sea to Summit X-Shot Glass and Espresso Cup. It's perfect for your morning shot of espresso or for that shot of something stronger later. It’s always 5pm somewhere, right? Sea to Summit Collapsible X-Bowl collapses easily and the nylon base of this camping bowl can be used as a cutting board when the X-Bowl is flipped upside down. 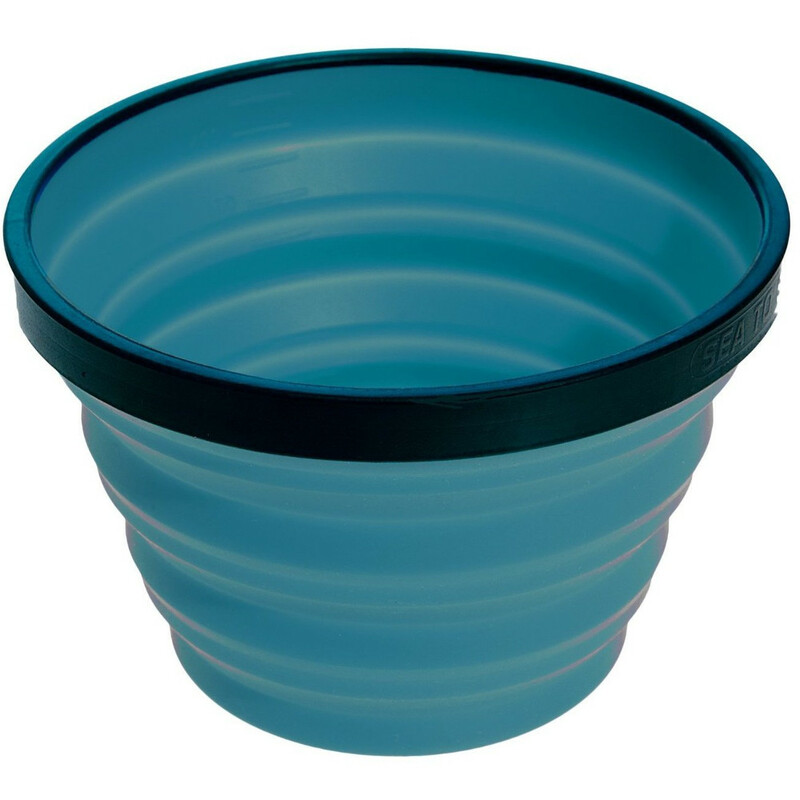 Sea to Summit Collapsible X-Mug collapses easily and is also calibrated as a measuring cup.